The gorgeous Samuel Arrangement by Amaranthine Flowers By Design is full of fragrance and style and is the perfect way to welcome a new little baby boy! With a unique style and design it has long lasting vanda orchids, sweet smelling stock, liatrus, the happy gerbra and strong foliages. 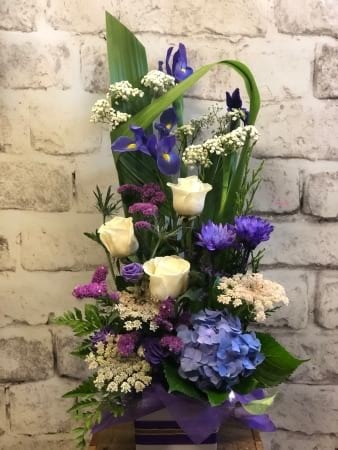 A beautiful arrangement from at Amaranthine Flowers By Design, Charlestown Square, your florist in Newcastle.